I've just upgraded to Windows 8.1 and it freaked me out when Total Game Control told me that it can't find my Belkin Nostromo SpeedPad n50. I won't play any games without it. But luckily, it was just because Windows 8.1 has gotten smarter about the n50. You see, Windows 7 recognized the Belkin Nostromo SpeedPad n50 alright. But it couldn't figure out what game controller it is. Therefore, it simply identified the n50 as "?". So that's what it showed in Total Game Control. But Windows 8 actually recognizes the Belkin Nostromo SpeedPad n50 as "3 axis 10 button gamepad". Ok, it still doesn't know it is the n50, but it's a start. With Total Game Control, I just have to tell each n50 profile to use "3 axis 10 button gamepad" instead of "?". 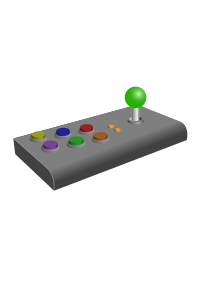 You just have to select "3 axis 10 button gamepad" in Total Game Control. You can then use the loadout manager and editor to set profiles etc. I have used this on windows 7 32 bit and 64 bit no problem! That's awesome, Blagard. I am now on Windows 8.1. I will see if this trick works on Windows 8. Thanks. I just tried the Drivers link and the files are not there anymore but the file I downloaded at the time is attached. Haha! I just tried it on Windows 8.1 and it works! That is awesome. Thank you, Blagard. OMG You are a life saver... thanks for the file!! Bringing my N50 into work for macro use. You just saved me a lot of time. Bit of a necro-post but I can report success with drivers and loadout manager & editor on Win 10 with the download link you provided. Made this process easier by creating a registry file. Download the attached to Windows. Double-click it to apply the new name to registry. Excerpt: I have upgraded to Windows 10, then did a full clean install of windows 10 I installed the Nostromo software first using the nostromo_3.2.4_081607.exe file (N50 not plugged in yet) followed by plugging in the N50 afterwards I did not need to tweak the registry and it all worked fine! - Quick and pai . . .